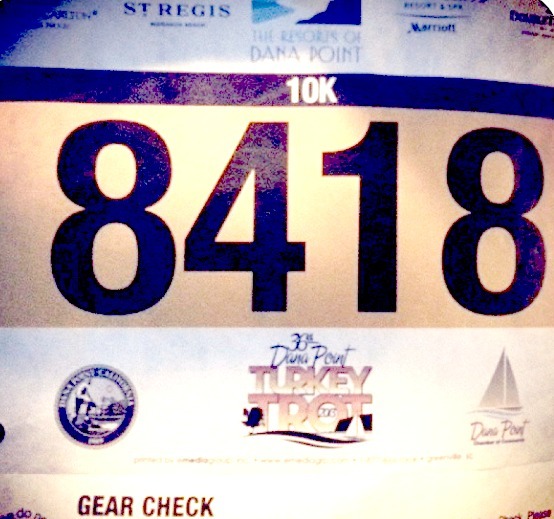 This Thanksgiving I ran the Dana Point Turkey Trot 10K once again with the hopes of redeeming myself after a disappointing performance in 2010. I knew I had a fairly good shot at a PR on this course, so the Englishman and I decided to go for it. So sit back and enjoy the Dana Point Turkey Trot Race Recap. Since I had decided I wanted to PR at this race, I decided to keep the workouts fairly simple leading up to it. Monday the Englishman and I went for a 5 mile run, Tuesday we went to crossfit and did 100 bench presses (no joke) followed by a 14 minute AMRAP consisting of power cleans and kettlebell swings, which at the time didn’t seem too bad. When I woke up Wednesday morning I was sore. My upper body was tight and my legs felt like lead. We went out for an “easy” shakeout run of 3 miles Wednesday morning and the whole time my legs were tight and I was struggling to keep a 9:30 pace. I began to worry that my legs wouldn’t be fresh for a PR the next day but the Englishman reassured me that we were getting the “crappy” run over with so we could have a great one on Thanksgiving. Then there was the issue of my stomach. I tend to have stomach issues in general anyway, but Wednesday it was a bit of a hot mess that lasted until Thursday morning. I assumed it was just pre-race jitters and tried to brush it off as we headed down to Dana Point in the wee hours of the morning to pick up our race bibs. Once we got to the race it was crisp and cold, and the energy of the runners was infectious. I remembered why I loved running this particular race because everyone is in such a good mood and excited for the Thanksgiving holiday. Plus, this race is incredibly well-organized. The horn blared at 7am and the Englishman and I were off. The first 3 miles of the course take you around Dana Point Harbor Drive and through a parking lot, and the final 3 take you through the marina. The entire race is quite scenic as you are running next to the ocean the entire time. My legs felt a bit stiff from the cold when we started, but we quickly got into our groove and hit the first mile at 9:06. Both of us were feeling pretty strong and we proceeded to run sub-9 miles the rest of the race and managed to negative split which was pretty awesome. Secretly I had been hoping to finish the race in roughly 55 minutes, and when I looked at my watch and saw we were averaging an 8:37 pace, I realized we were going to make it in under 55 minutes and then some. As we rounded the corner to the finish, we decided to sprint and crossed the finish line in 53:37. 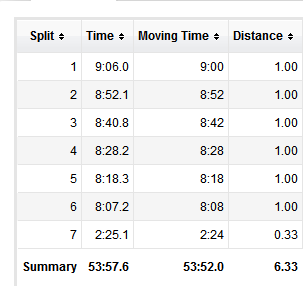 I honestly did better than I thought I would (thanks to speed work and crossfit) and officially feel like I redeemed myself in the 10K distance. Now I can’t wait for the next one in December! Did anyone else run a Turkey Trot? How did you do? 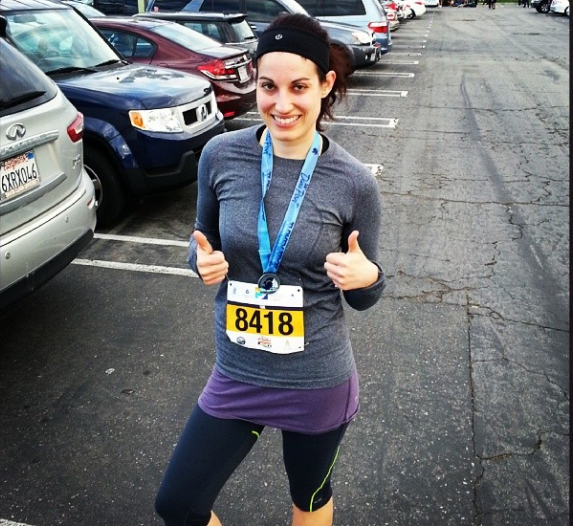 This entry was posted in Orange County, Running, Work It Out and tagged race recap, thanksgiving, turkey trot on December 2, 2013 by allie@sweetpotatobites. That’s awesome!!! Congrats!! I don’t think I’ll be able to keep up with you for the Santa 10k in 2 weeks!